H&M opening in AEON Mall Tebrau City, Johor! Hey guys, the 3rd H&M store is opening in Johor, at AEON Mall Tebrau City ! They will be opening it's doors on 27 Oct 2016, 12pm. In this new H&M, you'll find Ladies, Mens and Kids concepts which includes a wide assortment of garments and accessories. As usual, H&M is having massive sale in conjunction with their grand opening and be the first to queue up on the opening day to receive some H&M cash vouchers to shop ! H&M in AEON Mall Tebrau City, Johor ! H&M will be giving away cash vouchers upon the new store launch in AEON Mall Tebrau City. Be the First 400 customers in line and you'll receive an exclusive H&M totebag and the First 200 will receive a H&M voucher ! You'll also get a chance to win a RM 500, RM 200 or RM 100 vouchers. * Even if you don't get the 3 top vouchers, don't worry as you will also receive a RM 50 voucher. * Lucky draw will be done to determine the 3 winners. 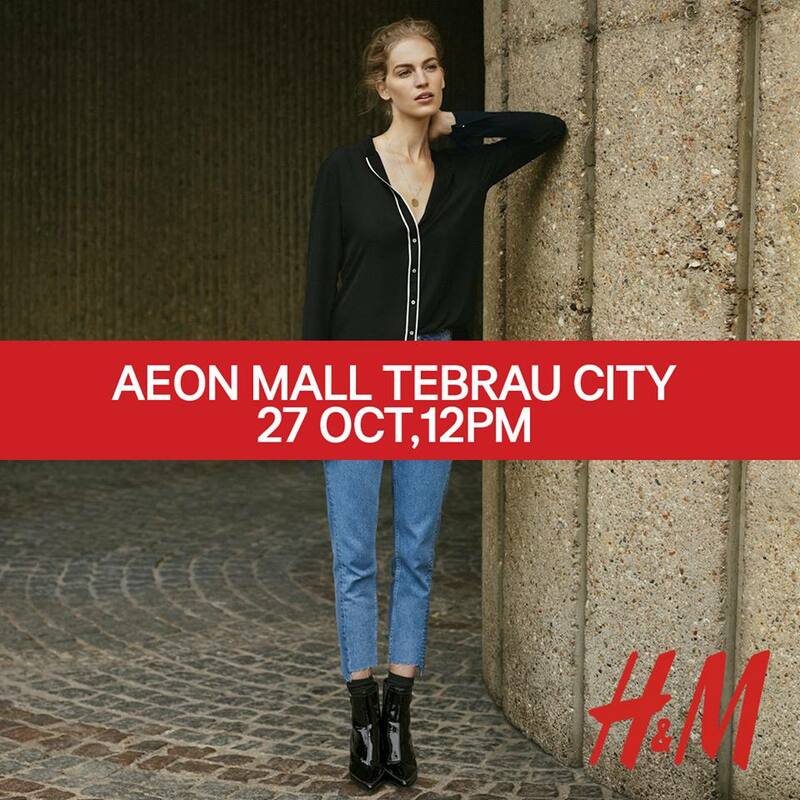 Get ready and start shopping at H&M store in AEON Mall Tebrau City on the 27th October 2016 !